Every year, thousands of American children are severely injured in accidents of various kinds. Regardless of how the injuries occur, nothing can devastate a parent more than to hear that their child has been hurt. In many cases, injuries to children are caused by the negligent actions of another party. If your child suffers an injury, it is important to speak with a knowledgeable and compassionate personal injury attorney as soon as possible. Motor Vehicle Collisions: Today, car accidents are a leading cause of death among American children. According to the Centers for Disease Control and Prevention (CDC), approximately 723 children were fatally injured in motor vehicle collisions in 2016 alone. If you have young children, equipping your child with the proper car seat or booster seat could save their life. 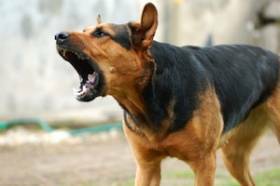 Animal Attacks: Throughout the United States, dog bites are the most common form of animal attack. Each year, there are approximately 4.7 million dog bite incidents nationwide. For young children, dog bites can be incredibly dangerous. Due to the small stature of young children, they are likely to suffer injuries to the face or throat in the event of an attack. Children are commonly victims of dog attacks because they fail to recognize when an animal may be dangerous. Falls: Every year, approximately 1.2 million children are hospitalized due to fall injuries. In the United States, falls are the leading cause of nonfatal injuries among children. In many cases, falls occur due to negligence on the part of a property owner. If your child is injured in a slip and fall accident while you are shopping at an establishment or while they are at school, you may be entitled to substantial injury compensation. When your child suffers a severe injury, it is easy to feel helpless and alone. In the aftermath of an injury, it is important to act quickly. Attorney Daniel Flaherty has helped countless families receive the compensation they deserve. As you focus on helping your child heal, we are here to ensure that your family is not financially impacted by the tragic event. To schedule a complimentary consultation with an adept Will County personal injury attorney, contact our office today at 815-577-7500. In the state of Illinois, one in every three households owns a dog. While dogs are known as our loyal friends, they actually can be quite dangerous. In 2016 alone, 31 Americans were killed by dog bites. While the amount of fatal dog attacks remains fairly low, dog bite injuries are quite common. According to the Centers for Disease Control and Prevention (CDC), more than 800,000 Americans are hospitalized for dog bites each year. If you or are a family member are bitten by a dog, it is important to contact medical personnel as quickly as possible. While the vast majority of dog bite wounds heal within a matter of weeks, some injuries can be incredibly severe and even fatal. Injuries to Children: Due to their small stature and inability to recognize behavioral cues, small children face increased risk of severe injury in dog attacks. Approximately 42% of all Americans killed by dog bites in 2016 were children nine years of age or younger. Additionally, infants between the ages of three and six days old made up 31% of all fatal dog bite victims. If your young children are in the presence of a dog, it is crucial to keep a watchful eye.